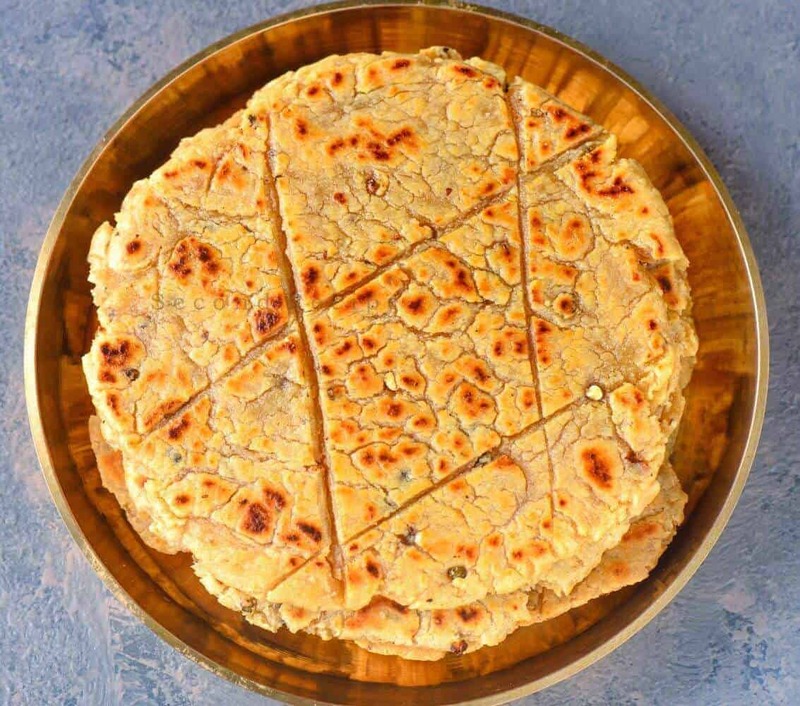 Kali mirch ki koki-Black pepper flatbread is a Sindhi delicacy. We usually eat this for breakfast.It is one of the easiest recipes and yet very tasty one . It resembles crackle or biscotti. You can make it earlier and also eat it during travel the next day. Just smear it with some good old white butter and it is as good a treat as one can get. Eat it with pickle,yogurt or some potato curry.You can also pair it with scrambled egg or any simple curry or large cup of tea. In a bowl add all ingredients and knead a stiff dough. Take a small amount of dough and roll it in a thick flatbread. Make incisions with a knife. Heat a pan and cook the flatbread on the lowest flame on both sides. Remove from flame and roll again. Cook again until the flatbread becomes crisp. Serve with pickle,yogurt or tall glass of tea. Click here to read more Indian breakfasts. Click here to also see more recipe videos.